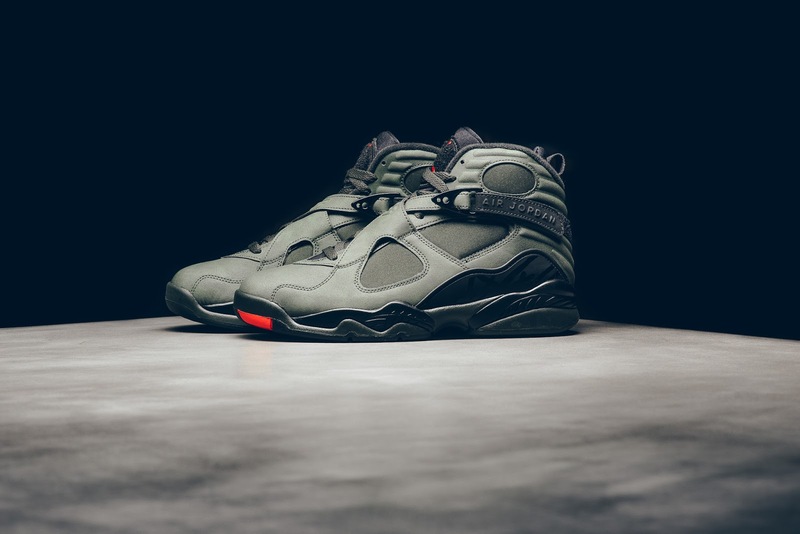 Inspired from bomber jackets and fighter planes, as well as the classic Air Jordan 9 Olive, the sneaker produces a militaristic effect. 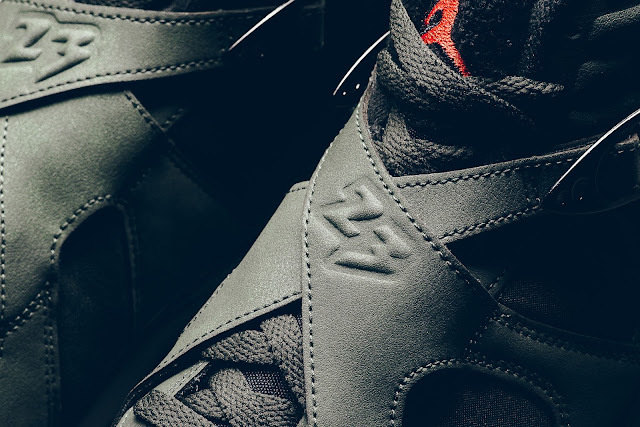 Nubuck, along with the addition of neoprene for the very first time, comprises the overall silhouette, which is draped in sequoia green. 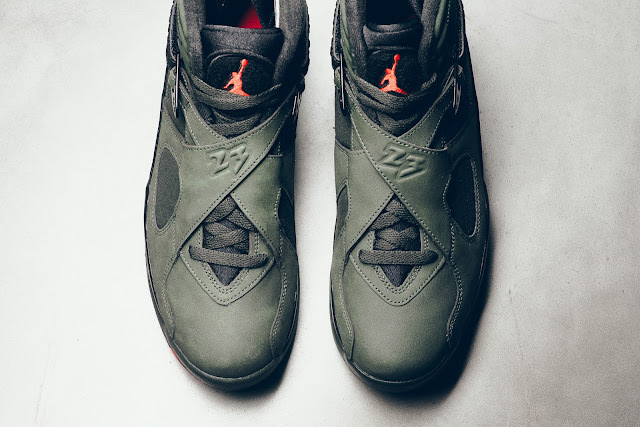 Black and wolf grey accents adorn the rear mudguard, tongue and sole unit, while pops of max orange are implemented on the chenille Jumpman-branded tongue patch, in addition to the graphic detailing on the outsole to cap off the design. The Nike Air Jordan 8 ‘Take Flight’ will drop on Saturday, 28 January 2017, at selected retailers.